Satire has always found a welcome place in stories, creeping out of certain parts of the plot and lending a hand in making it whole. Since the early days of literature, people have found comfort in harmlessly ridiculing society and all the odd people it contains. With time, the number of odd people grew, and satire stopped becoming merely a part of the tale, instead becoming the sole basis of certain writings. 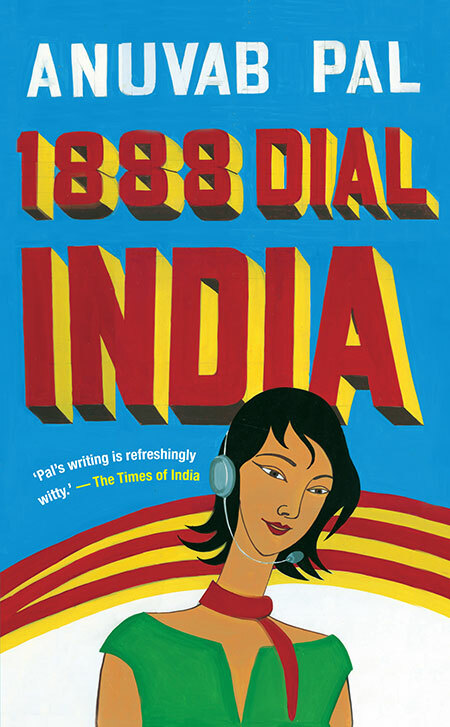 It is with this inspiration that the book 1888 Dial India came into being. Written by Anuvab Pal, the book takes a long, hard look at modern Indian society through glasses coated with exaggeration, irony, and the very thing that binds it all—humour. 1888 Dial India book cover. The story is set in Mumbai, India, in the year 2009. America is in the throes of a financial meltdown, and is finding itself more and more dependent on outsourcing to India. The protagonist of the book, Arun Gupta, sees himself as a street smart business man, certain that he will one day join the ranks of the most wealthy and influential people of the world. He sees the events happening in the world as a great opportunity to start his business of a suicide helpline for America. There is just one problem: he is a total nut. The rest of the story finds him telling the reader about the experience of starting and ending the business, from his own warped point of view. He meets and interacts with several people along the way, and they all help in making the book more interesting. Whether it be his naïve and impressionable employees, their families, the homosexual speech therapist or even his loyal servant boy; all characters hold their own in the book. There are two ways one can proceed to read this book. The first is with sufficient knowledge of the author and his work in the past. This allows the reader to have an idea of what is in store for him/her. The second way is to have no idea at all. It is the second way with which I approached the book. As I began, I was thoroughly confused and irritated by Arun Gupta. He seemed like the sort of person one would avoid in social gatherings. However, with time, I came to understand his lunacy. I ended up associating him with people I had met in the past. The same was done for the rest of the characters. Wacky and out of place as they may have seemed in the beginning, I could certainly relate them to real life people. This book is recommended for people who enjoy a light read, and it must be read with a firm hold on reality while simultaneously letting go of logic. It is with these mental acrobatics that one can truly enjoy the absurdity.